Only 4 To 14 days. 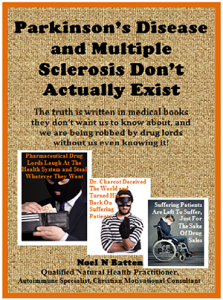 It Is Easier To Overcome The Symptoms Of Parkinson’s Disease, MS, Diabetes, Emphysema, COPD, IBS, & Several Other Rigidity Disorders, Than You Think, & The Treatment Is All Natural, & It Is Based On Dr. Parkinson’s Autopsy Findings That Neck Problems & Spinal Curvature Cause Parkinson’s Disease, “AND” This Treatment Is Also Endorsed By Scripture From The Bible. The “ONLY” reason medical doctors, neurologists, chiropractors, and naturopaths are in the dark when it comes to being able to explain the causes of the symptoms of “Rigidity” disorders to patients, and cannot give “ANY” guarantee of helping Rigidity patients to reduce their symptoms, is because their accreditation training is so far off-track, their only option is to constantly inform patients that what they have, is incurable. — This is the “ONLY” way they can get themselves off the hook for ignoring Dr. James Parkinson’s autopsy findings which my videos “PROVE BEYOND DOUBT, are totally correct in blaming neck problems, spinal curvature and excess muscle rigidity for the cause of Parkinson’s disease. Patient Inability To Focus May Prevent Me From Helping Some Patients Achieve “QUICK” Success. One of the reasons I have not been able to help some Parkinson and MS patients reach remission in a matter of 4 to 14 days, is if they have lost their ability to focus mentally, or they have developed a deep-seeded lack of desire to put in any effort to regain their health. — Sometimes this includes an unrealized attitude of self-sabotage. Advanced Spinal Scoliosis Also “SOMETIMES” Prevents Me From Achieving “QUICK” Success With Certain Patients. 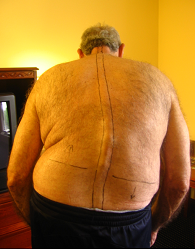 Here is a spinal photo below, of Parkinson patient “Michael” who I treated for 7 days, who only experienced around 10% to 15% symptom reduction over that time, simply because reversing “HIS” advanced scoliosis, was very difficult. — Due to the fact that his scoliosis took many years to create, it may never be possible to reverse it fully, or if it is possible, it may take many years. — He will not know until he has worked on achieving a reversal for several months, and the indicator will be if he feels his symptoms reducing. Here Is Another Patient Who Had Developed A Severe Spinal Scoliosis Who I “WAS” Able To Help Experience A Degree Of “QUICK” Significant Success. Head-forward Posture and Cervical Disc Degeneration “DID” Prevent Me From Achieving “QUICK” Success For A Parkinson Patient I Treated In London. Here is an X-ray of a Parkinson patient I treated in London, who I could not help to experience any quick significant symptom reduction, due to the severe head-forward posture he had, and he could not seem to correct this problem through his own focus-ability and persistence. — I often tried to explain what he had to do, and he simply could not follow my instructions due to a lack of self-discipline, “AND” what he explained, as “a fuzzy sensation, or fogginess, in his brain”. 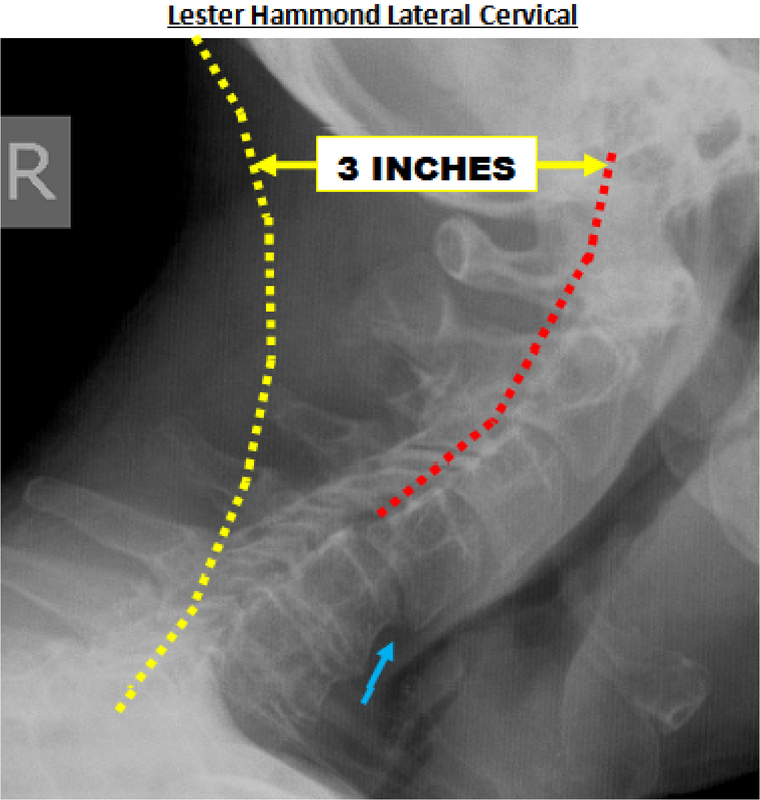 Compare his head-forward position shown by the red dotted line in the photo below, with where his head and cervical spine “SHOULD BE” according to the yellow dotted line, and imagine how the same angled bend and kink, in a garden hose, would suppress the flow of water, the same as this patients bend and kink in his spinal cord, is suppressing nerve signals going down to his legs, to cause his walking problems. All Forms Of Advanced Bad Posture May Prevent Me From Achieving “QUICK” Success. 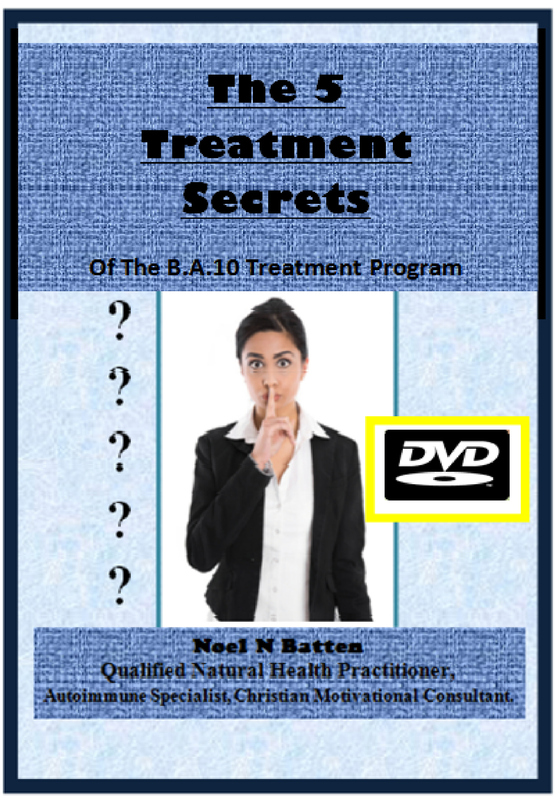 Whilst my B.A.10 Treatment Reversal Program, has helped many Parkinson and MS patients, as well as several patients diagnosed with a number of other Rigidity Autoimmune disorders, into remission in only 5 to 10 days, if a patient comes to me and does not achieve this quick significant success, it does not mean they are doomed, or that my treatment does not work. — It only means that they have abnormalities within their causal recipe, that will take longer than 5 to 10 days to correct. A Severe Spinal Curve and C1 Hyper-mobility Are My Most Difficult Causal Problems. Please remember, all 10 steps of my B.A.10 Treatment Program are based on 10 groups of scripture from the King James Bible. — If you would like to read more, please L/C this link.